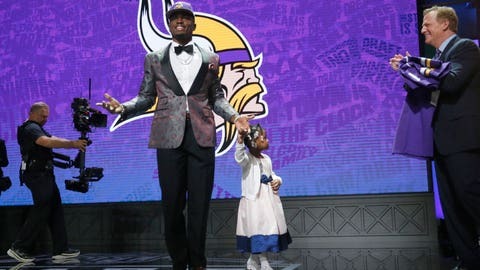 The Minnesota Vikings picked up defensive tackle Sharrif Floyd's fifth-year option on Monday. 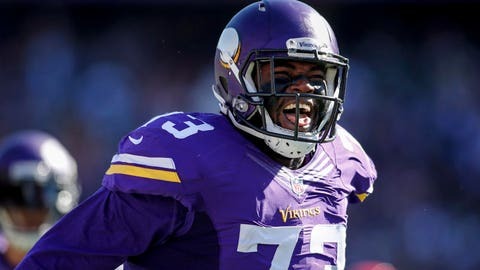 Floyd has been a steady presence on the Vikings’ defensive line, and racked up 34 combined tackles and 2.5 sacks in 2015. Rhodes was Minnesota’s top cornerback last season, logging a combined 55 tackles and one interception. The duo contributed to one of the league’s top defensive units last season, as the Vikings allowed just 18.9 points per-game in 2015, good enough for fifth in the league. Noticeably absent from the list is the Vikings’ third first-rounder in 2013: receiver Cordarrelle Patterson, who picked up just two receptions for 10 yards, as well as 15 rushing yards, last season. The Vikings declined to pick up the former Tennessee receiver’s fifth-year option, meaning that he will be eligible for free agency next year. Patterson was an All-Pro kick returner as a rookie and has continued to be a threat in that spot in his first three seasons in the league. But his development as a receiver has been much slower to come. He only caught two passes last season and was used as a decoy or blocker in the few offensive snaps he did get. Patterson would have been due $7.9 million in 2017.